Food-wise, it can be hard to keep up with what is healthy and what is not. When nutritionists decided that (healthy) fats, carbohydrates, and coffee weren’t so bad after all, we could all breathe a deep sigh of relief. But what about some of the so-called “health” foods that aren’t as good for you as they’re made out to be? Here are nine health fads that might be worth ditching. Freshly squeezed orange juice and a green smoothie straight from the Nutribullet – it’s fruit and vegetables so it must be good for you, right? From a nutritional standpoint, juices are a whole load better for you than your regular, sugar-laden fizzy drink. If it’s freshly squeezed, you get most of the vitamins, minerals, and phytonutrients from the whole fruit (and obviously that’s a good thing) but the juicing process removes almost all fiber, which is what keeps you feeling full. And because one glass of juice requires more than just one piece of fruit, you are drinking more sugar (a glass of orange juice has six teaspoons of sugar in, nearly the same as a can of full fat Coca-Cola) than you would likely consume had you stuck to one whole fruit. Smoothies aren’t so innocent either. Granola tastes good but a lot of its innate deliciousness comes from sugar. It’s also high in carbs and calories but low in protein, and one portion of the “healthy” cereal is a lot smaller than you might imagine. 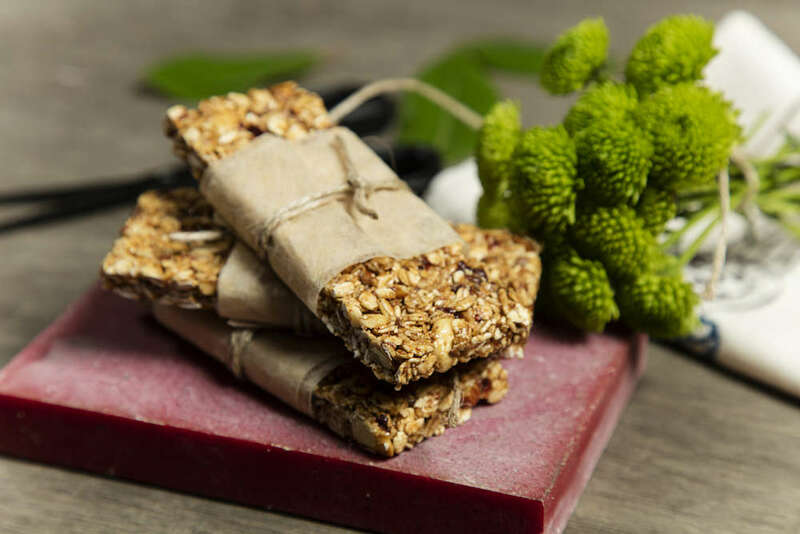 A poll in the New York Times found that more than 70 percent of the public consider granola bars healthy but only 28 percent of nutritionists interviewed will back them up on this view. True, granola is high in fiber and nut varieties contain heart-healthy fats but, given its high sugar content, it might be best to start thinking of it as a dessert rather than a breakfast staple. If you’re trying to lose weight or eat healthy, swapping out your regular product for a lighter alternative sounds like a no-brainer. That is until you realize food manufacturers regularly add extra sugar or additives to make something fat-free edible, otherwise, it can be rather tasteless. Besides, the right fats in moderation are good for you. Think, avocados and oily fish, which can help protect you against cardiovascular disease, dementia, and different types of cancer. Sugar, on the other hand, can raise your risk of dying from heart disease. Experts reckon you should limit your intake to less than 10 percent of your daily calories. 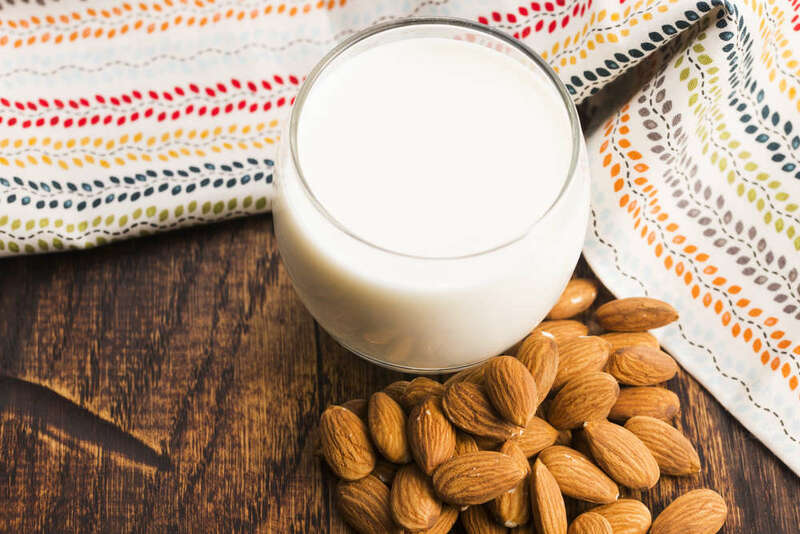 Unless you’re dairy-free, buying almond milk instead of cow’s milk isn’t automatically healthier. In fact, it’s lower in protein and the food manufacturing process makes it harder for your body to absorb and retain all the nutrients. (Most vitamins are added in during the production process.) Besides, regular, dairy milk is full of important nutrients like vitamin A and B12, phosphorus, magnesium, zinc, and riboflavin. If you don’t have an intolerance and you’re not vegan, there’s no reason to avoid it. Massive caveat here – if you are part of the one percent who has celiac disease or a gluten-free intolerance, it’s best to stick to gluten-free alternatives. However, most people who profess to be gluten-sensitive probably aren’t. And foods that contain a gluten-free label aren’t inherently healthier. Some have even suggested they could be worse for you. They often contain added sugar and fat, and fewer nutrients. The verdict: unless you do have a real gluten intolerance, it’s not worth shelling out on gluten-free. This one’s complicated. 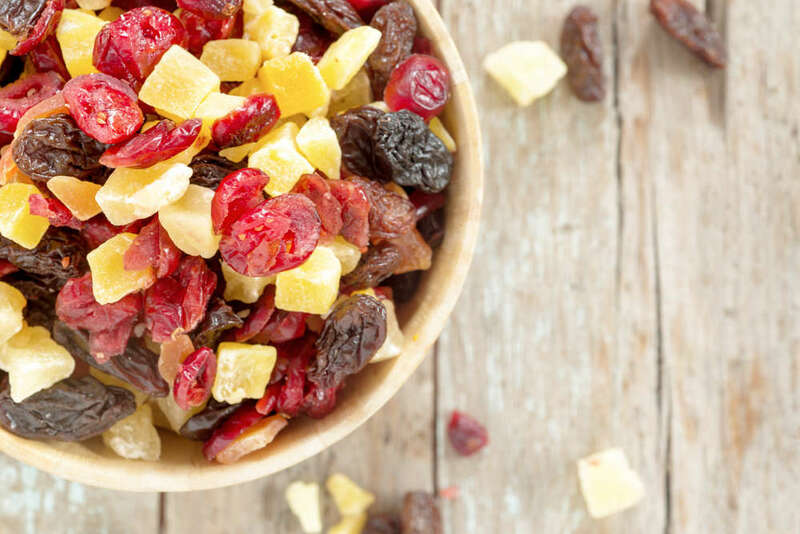 Dried fruit isn’t outright bad for you – in fact, it may contain more fiber and antioxidants called phenols than fresh fruit gram-for-gram. But it also contains more sugar and calories. Plus, you’re likely to tuck into a lot more fruit if you have it dried than you would had it been fresh. After all, when was the last time you ate four fresh apricots in a row? Dried apricots, on the other hand, are another story. Just something to keep in mind next time you grab a handful of banana chips or a bag of trail mix for your afternoon snack. Sorry, sugar is still sugar. It doesn’t matter that it’s labeled “natural” or “organic”, agave nectar and other “healthier” or “natural” sugars (looking at you honey and coconut sugar), are not that much better for you than the white, refined stuff. Agave has been declared a health food because of its low-glycemic index. This means you don’t get that sugar spike and subsequent crash. Instead of glucose, it has an extremely high fructose content. Fructose has been linked to all sorts of conditions, including heart disease, obesity, diabetes, and cancer. 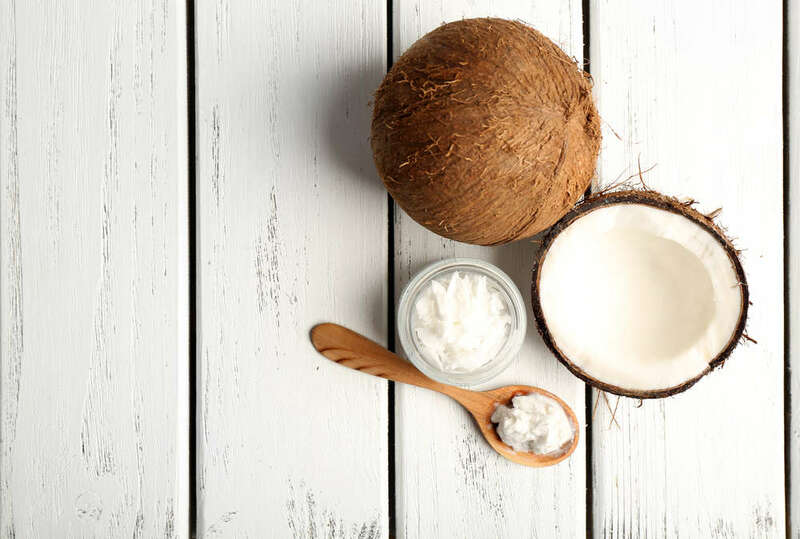 Coconut oil has been touted as a healthier alternative to other fats but this is false advertising, says the American Heart Association (AHA). It’s 82 percent saturated fats, which is far higher than either olive oil (14 percent) or your bog-standard chunk of butter (63 percent). Saturated fat raises your “bad” cholesterol levels and is linked to heart disease. Whereas 72 percent of the public thinks coconut oil is good for you, only 37 percent of nutritionists agree. If you chose vegetable chips over the regular kind because it’s healthier, you might want to reconsider. Just like potato chips, they’re covered in salt and deep-fried. “Crisps [British for chips] are crisps, and even if they are made with vegetables, they are likely to contain too much in the way of fat, saturated fat and salt. In fact, the vegetable crisps here have higher levels of saturated fat and salt than some well-known, regular crisp brands,” Charlotte Sitling-Reed, a registered nutritionist, told The Independent.